Marco Technologies is a full service IT solution provider offering hardware, software, subscriptions, professional services, cloud and managed services. The Cloud Voice solution portfolio includes multiple voice-centric offerings, with the highlight being UCaaS – Unified Communications as a Service. Marco’s UCaaS is powered by Mitel software and hosted within Marco’s service provider infrastructure and data center network. UCaaS offers a comprehensive combination of services to deliver a seamless Unified Communication solution to small and medium business. Client benefits include simple bundle packages, minimal capital expenditure, financing options, complete management and monitoring, end user support desk, feature-rich UC platform, public and private connectivity options, various PSTN options, contact center, conferencing, service level agreements and self-administration web portal.  UCaaS includes Phone Service with SIP Trunking, local, long distance, toll-free and DIDs. WAN services such as Internet Access, MPLS, VPLS or Ethernet. Additionally, collaboration features like Audio, Web, Video Conferencing, Mobile Application, Desktop Application, Web Application, Team Collaboration, and Softphone. More additional features are available such as Multimedia Contact Center, Call Recording, Call Accounting, Application Integration, Work Flow Management, and Business Analytics.